EISENOR core organization is made out of a team of engineers and technicians with extensive experience, devoted to product development and customer satisfaction. We are focused on the continuous improvement, being our main objective the incorporation of new technologies and production innovations in our manufacturing process. 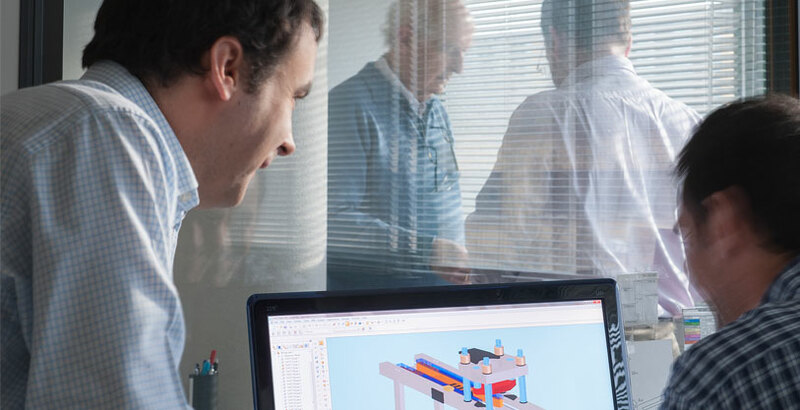 EISENOR´s team contributes with its knowledge to the manufacture and design of linear guiding solutions, achieving our most important target: to develop the best solutions to each specific problem and requirement our customers have. The whole team work at its integrated facilities in its headquarters in Navarra, region located in the north of Spain with a well-known industrial tradition. This way we can treat each project in a uniform and coordinated manner and are able to fulfill the defined objectives as well as to comply with the delivery time.